Summertime in Australia and the living is easy…and a little bit busy chasing bugs and so many other flying, crawling and buzzing “delights”. You just want to open a window to let some fresh air in, but that’s not all that gets in, is it? Insects can be a real problem during the warmer months and in order to avoid those annoying little creatures, we avoid opening a window either at night while sleeping or during the day when one desperately needs a bit of fresh breeze. Insects are the number one reason why people avoid opening a window on a hot summer night, making it difficult to freshen up the room and get the air flowing, however, by adding fly screens to your windows and doors you could greatly improve the flow of air in your home while keeping insects out. They are also great for when you want to leave a window open to get a good night’s sleep in a cool room. Fly screens also provide an element of privacy, since the traditional black mesh construction renders it difficult for anyone to have a peek. However, those on the inside can still see all that’s going on outdoors with relative ease. This potentially minor, but important point is an additional benefit of having a fly screen in your home. With rising electricity costs and the growing interest in preserving the natural environment, fly screens can provide a great solution. It’s obvious that running an air-con unit can be costly especially when you need to keep it on all day and especially since free fresh air is just outside your window. Installing screen doors can be good for your health and cost a lot less, also insect screens are good for the environment since they are harmless and don’t add to the carbon footprint in the way that air-conditioning systems do. There is a wide range of fly screens to pick from, you no longer need to sacrifice comfort, pest control, or affordability. 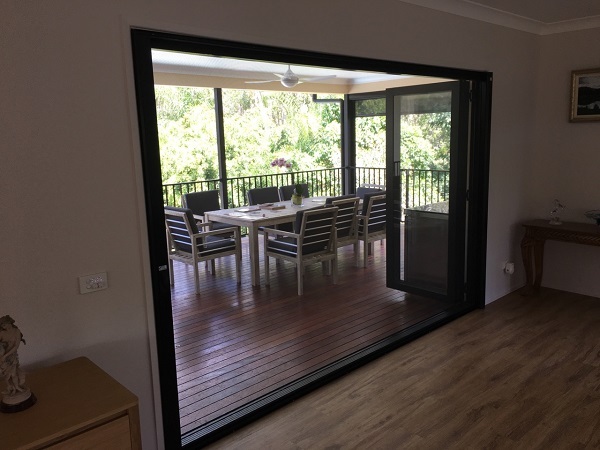 All in all, installing insect screen doors on the windows and doors in your house is great if you want to be able to keep a constant breeze coming in throughout the day, plus get a little bit more privacy and be a little less dependant on your air-conditioning. What’s more, circulating clean air helps prevent the appearing of mould, which can cause respiratory infections and allergies.